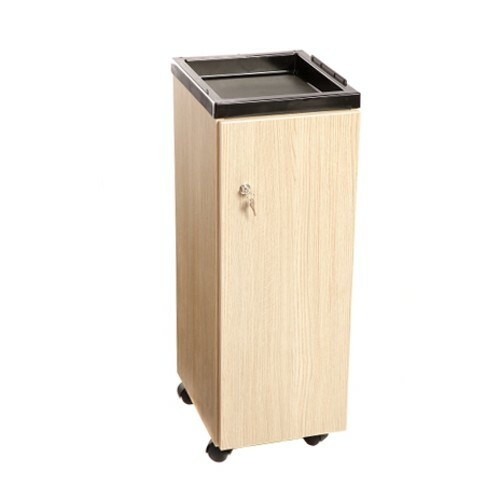 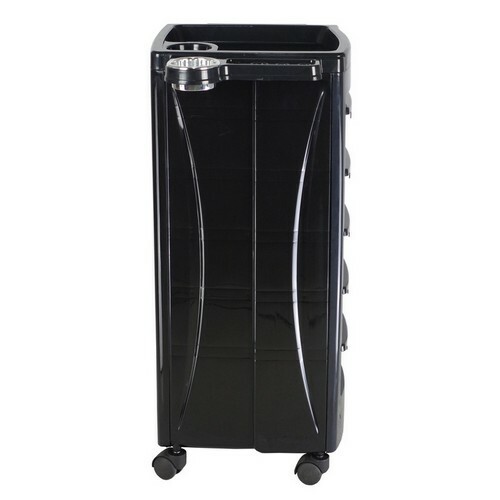 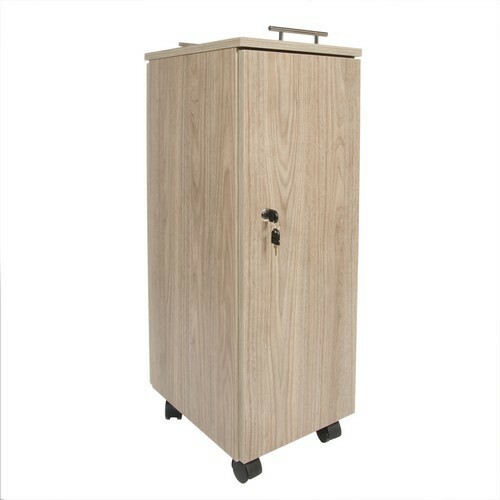 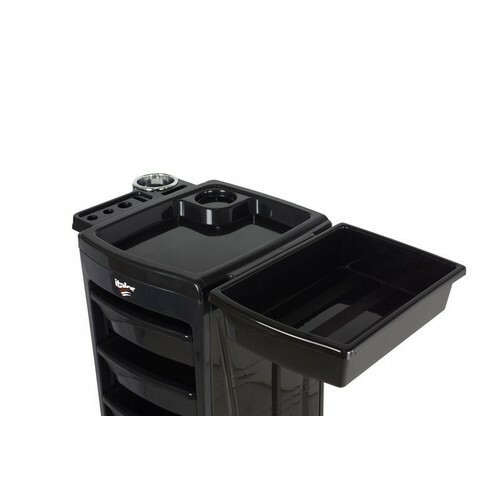 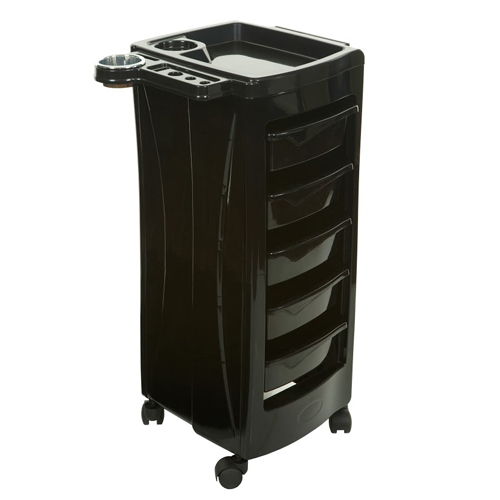 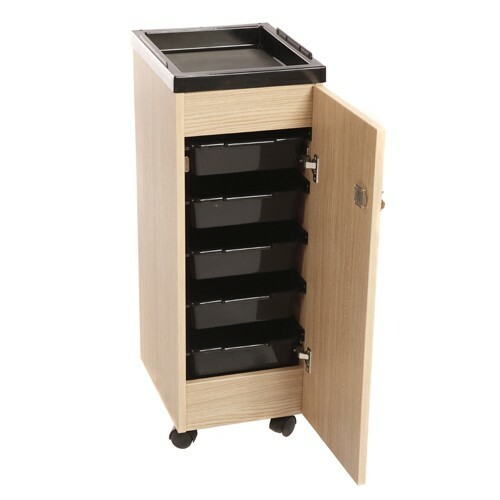 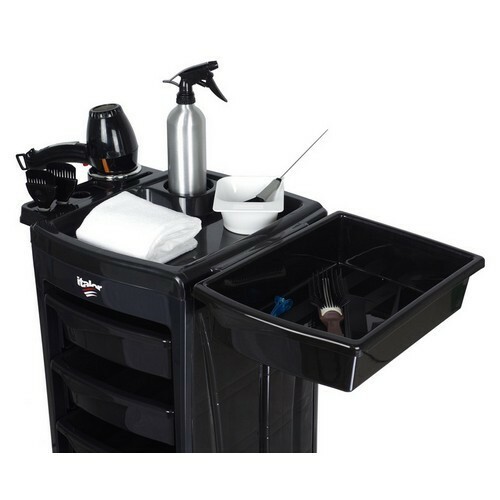 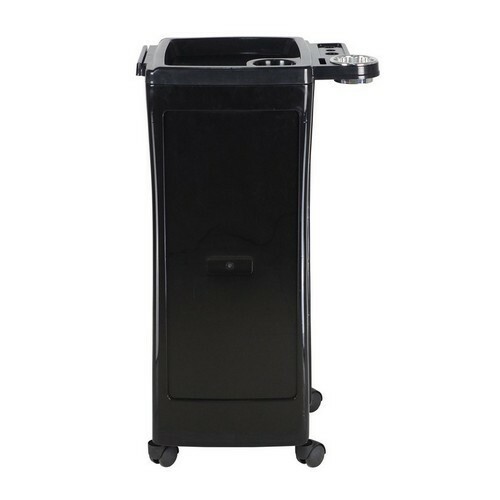 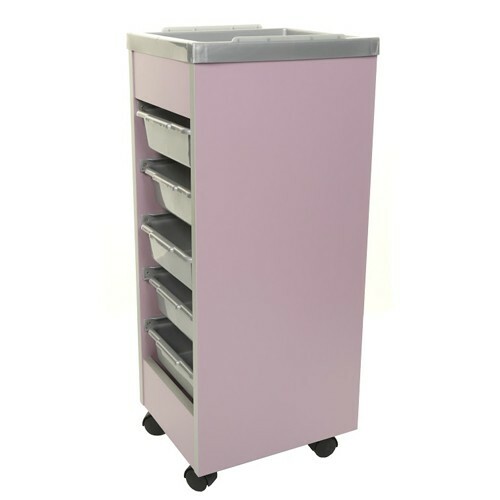 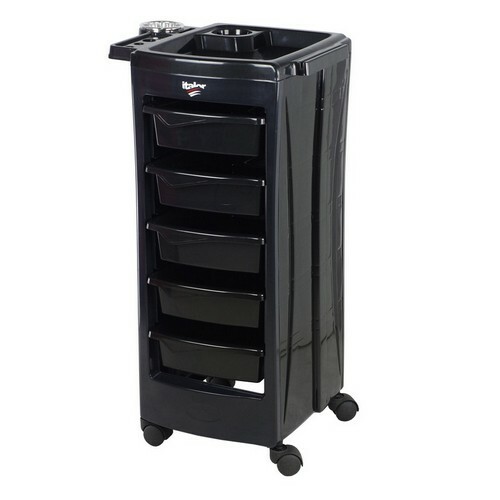 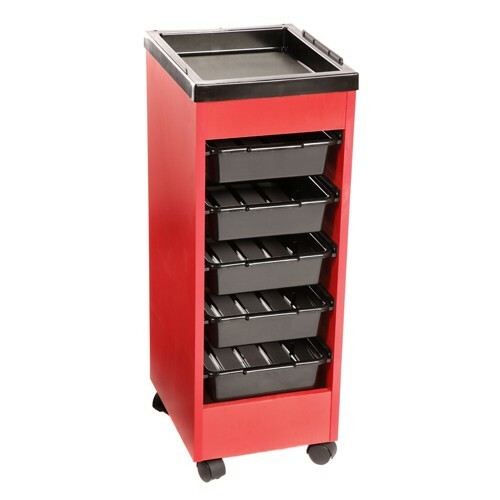 Product Description: Salon Trolley with 5 drawers and plastic flat top tray with dryer and electricals holder. 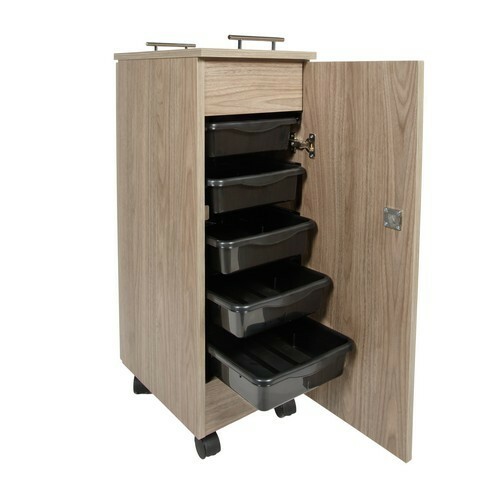 One of the drawers can be attached to the top if desired. 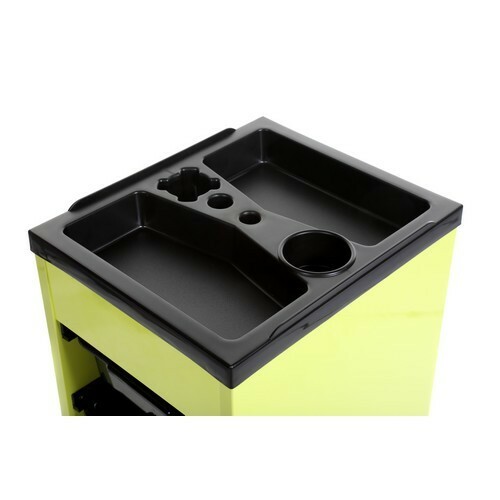 Colours: Only available in black.